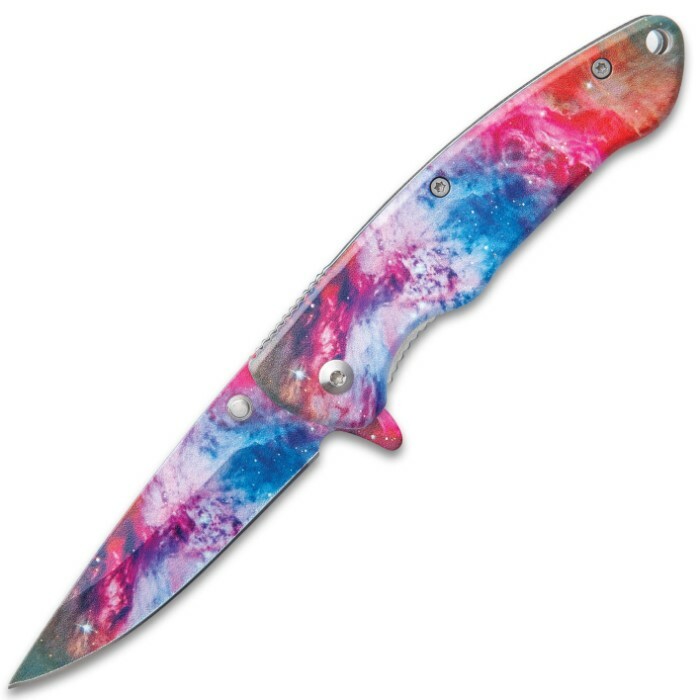 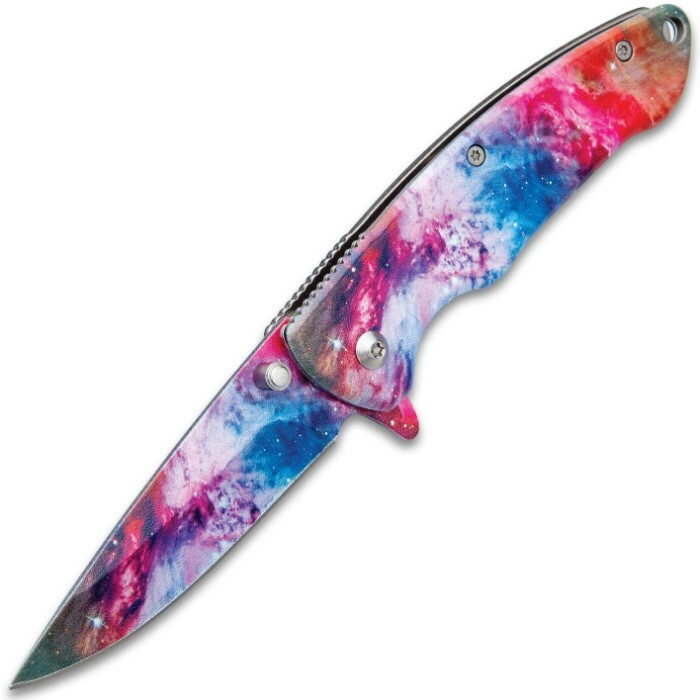 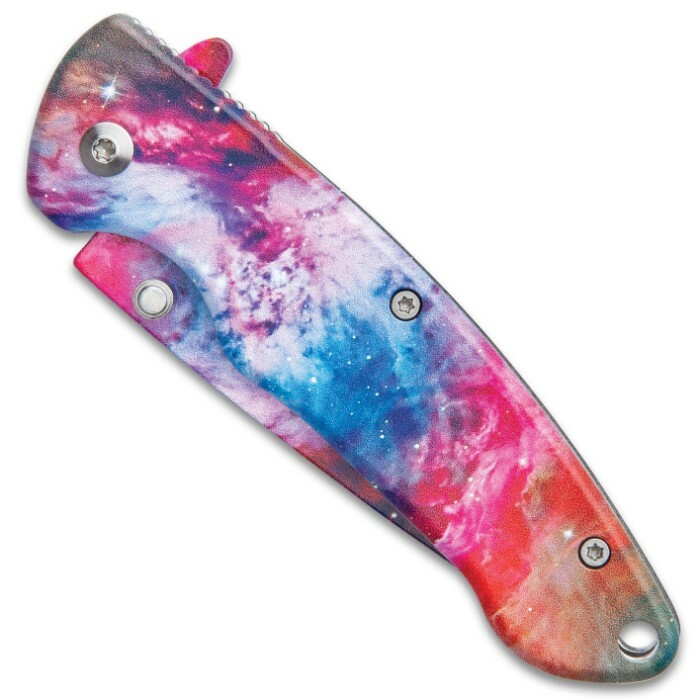 The Cosmic Cloud Assisted Opening Pocket Knife is an eye-catching everyday carry that will definitely spark conversation when you pull it out of your pocket! It has a keenly sharp, 3” stainless steel blade that has been 3D printed with a vivid space design in blues and pinks. 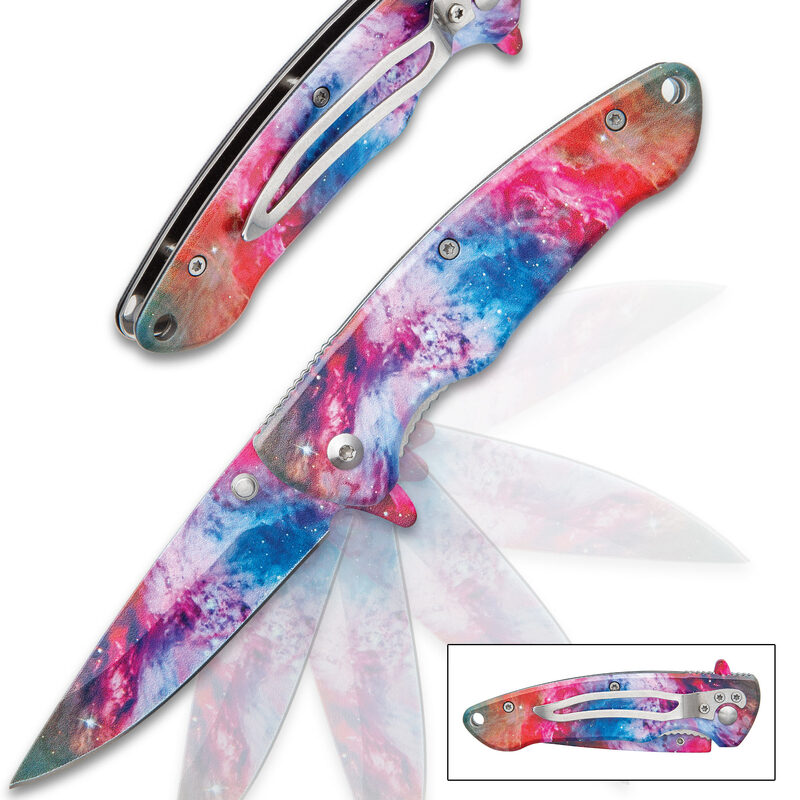 The blade can be quickly deployed using either the flipper or thumbstud to activate the assisted opening mechanism. 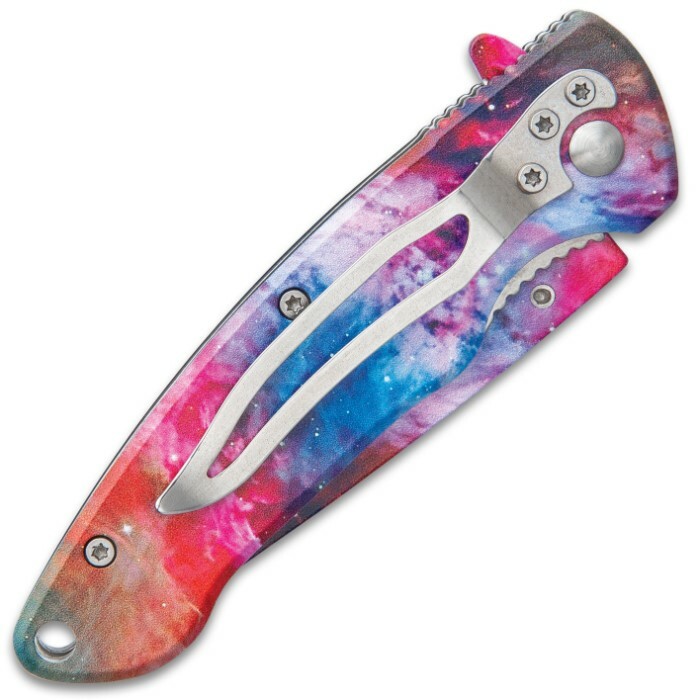 The stainless steel handle has also been 3D printed with the vivid space design and it features a lanyard hole carry option. 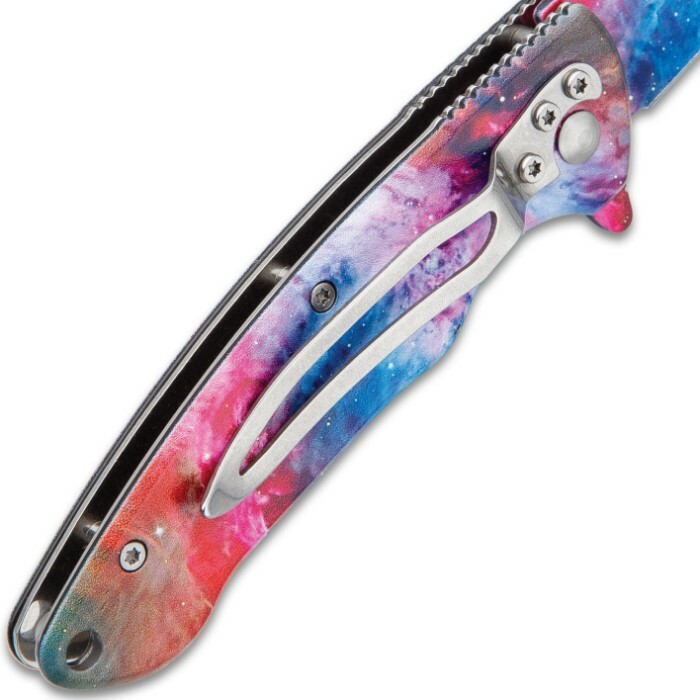 The visually striking, assisted opening pocket knife is 4”, when closed, and has a stainless steel pocket clip for ease of carry.